All Oak View homes currently listed for sale in Oak View as of 04/19/2019 are shown below. You can change the search criteria at any time by pressing the 'Change Search' button below. "***AMAZING VIEW** OVER 1/2 AN ACRE OF USABLE LAND**ATTACHED GUEST HOUSE**6 OR MORE FRUIT BEARING TREES**IN A CUL DE SAC*** Welcome to NIRVANA! This sprawling 6 bedroom 4 bathroom and bonus room estate with 9 foot depth pool, spa, and mature fruit trees is the perfect family home or getaway. Nestled on a lush hilltop, on a quiet cul de sac overlooking the Ventura river with breathtaking views! This .6 acre lot REALLY does have it all. From the endless views of the sunset, the vaulted ceilings, the cozy fireplace and don't forget the wrap around deck. THIS HOME IS A RARE FIND!!! The bonus to it all is the attached 1 bedroom, 1 bathroom, full kitchen, attached guest house. Bring your extended family, use it for an In Law Suite, rent it out or possibly a Bed & Breakfast (check with city ordinances). 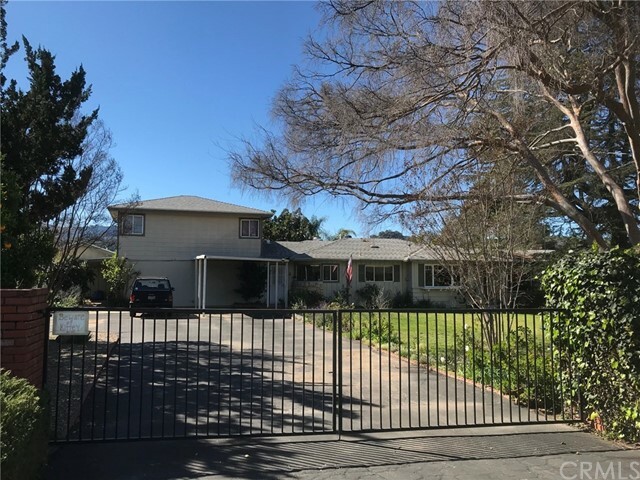 Enjoy beautiful scenic drives along Hwy 33 and Hwy 150, with Lake Casitas and the Ojai Country Club,s championship golf courses and spa just a few short minutes away. Hike the Topa Topa mountains and soak in a signature Ojai Pink Moment Sunset. Walking distance to the local grocery store, school and bike trails, places everything you need at your fingertips. With just a 15 minute drive to Downtown Ventura's 5 star restaurants, bustling nightlife and endless oceanfront activities you would be hard pressed to find a better location." "High end manufactured silvercrest home.Attached 1 car garage and 1 car carport with view deck on top.Move in ready. Easy commute to Ventura or Ojai.Easy Walk to eats , drink and shopping."